Dr. William Gausman began his family practice in Lompoc in 1958. He earned his medical degree from Hahnemann Medical College in Philadelphia and completed his internship at Orange Memorial Hospital in New Jersey. His residency was completed at General Hospital in Riverside County. He is board certified in Family Practice. 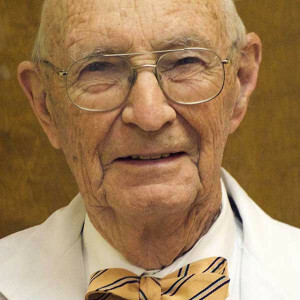 In 1961, Dr. Gausman became the co-founder of the former Valley Medical Group. He remains affiliated with Lompoc Health.